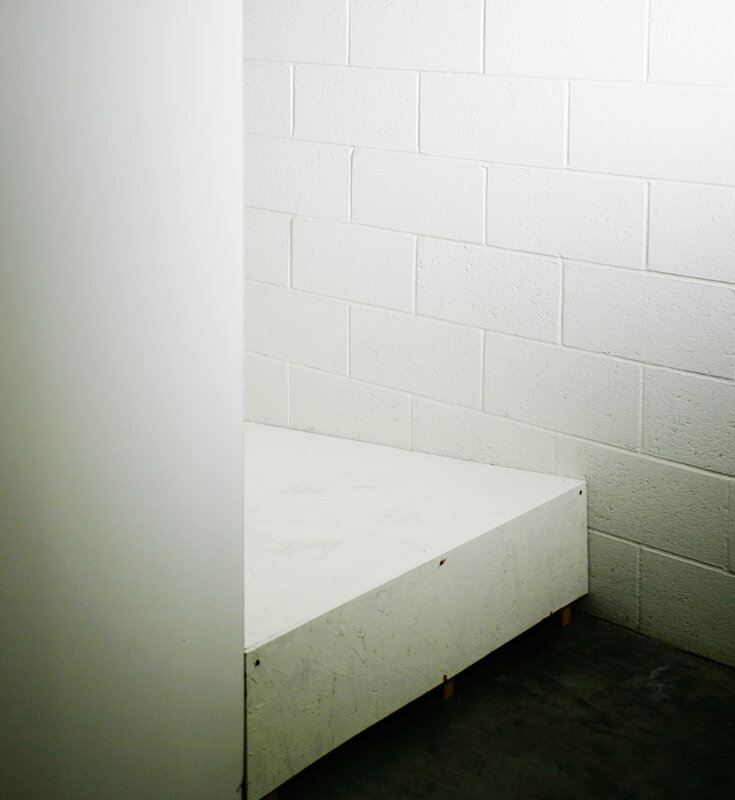 A one-night installation at an undisclosed location in Los Angeles. 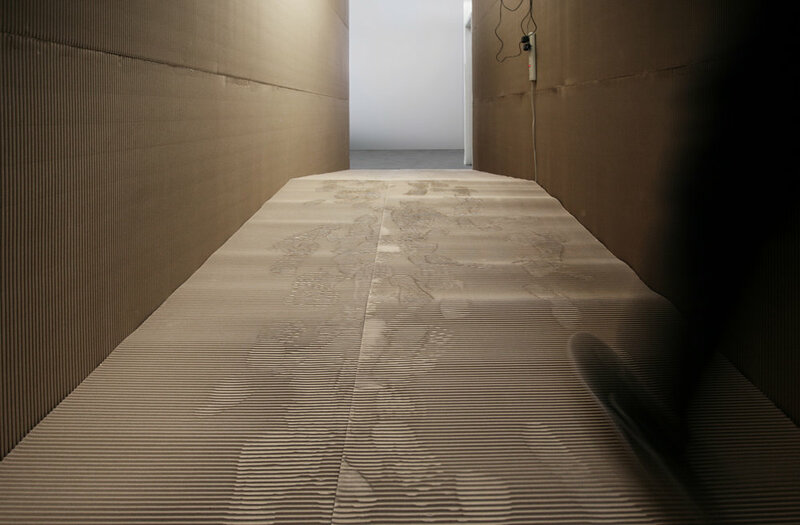 Two corridors, one made of concrete block and the other lined in cardboard, are connected via mobile phones. 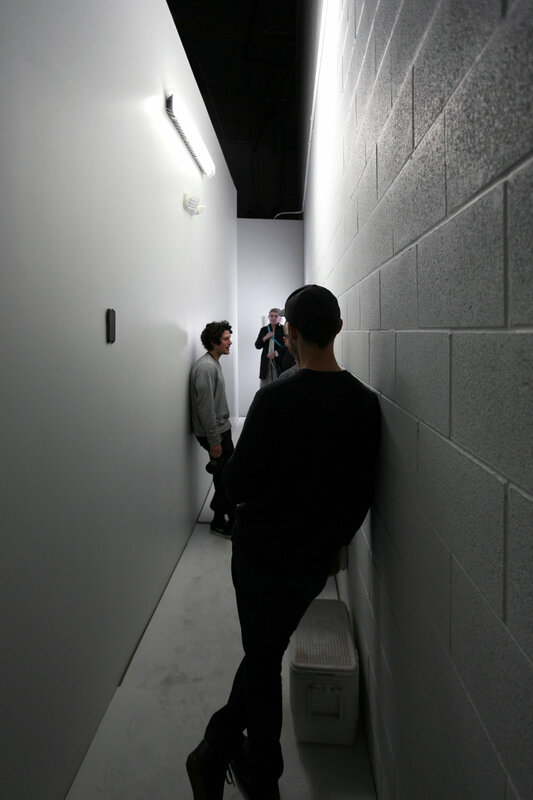 The outgoing call location (the concrete corridor) distorts, echoes, and reverberates sounds, and the incoming call location (cardboard corridor) broadcasts these sounds as lines and planes using Ultrasonic speakers typically used for nonviolent crowd control. 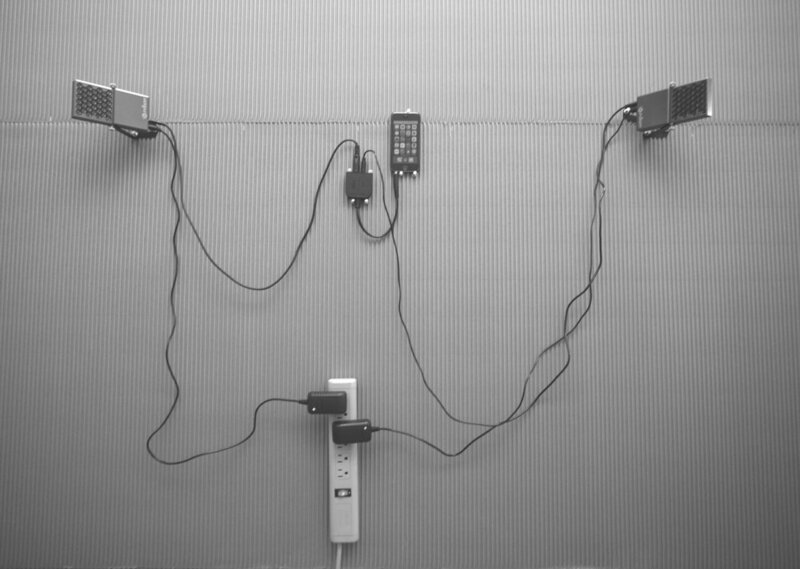 Architectures of incarceration and technologies of surveillance are reappropriated into an interface for connection and exchange. The installation is part of our ongoing series of Listening projects which aim to correct/redress the privileging of vision over other modes/aspects of embodied sensation by staging experiences beyond what’s seen, to produce effects that must be heard, felt, tasted, and lived. March 2018.